Sacred Gaia Activation is a lovely bright green stone that carries the energy of the soul of the earth, the energy has a strong vibration of love and compassion. The energy of it helps to let go of hurt and painful emotions…and aids you to forgive. It has a strong healing energy and will bring that healing energy to the person using it. Sacred Gaia Activation aids you to make a deep connection with the Earth. It aids earth healing. This is a strong energy to aid you to heal past life problems by allowing access to relevant memories stored within your genetic material. This energy activation acts to remove any built up negativity caused by your own or others anger, fear, resentment, and even stress, as well as aiding you to remove any negative attachments. Sacred Gaia Activation is also an excellent aid to help you to release any negativity that your day to day life may have caused. This negativity may be present within your auric field and needs to be removed…to aid your ongoing physical, emotional and spiritual health. The activation may assist you to seal your aura against future problems and may aid you to unfetter yourself from any negative attachments that you may have unintentionally taken into your aura. 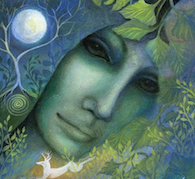 Sacred Gaia is a strong psychic protection energy, and will benefit you by shielding you from all negativity, so it is very helpful energy to keep within your auric field. It has a strong vibration that aids spiritual grounding, by helping you to move any excess energy down via the earth chakra to Mother Gaia for grounding. This system is activated by intention, and can be used for healing and cleansing, or protecting of yourself or others, and also to heal, cleanse or protect a place, environment or situation.